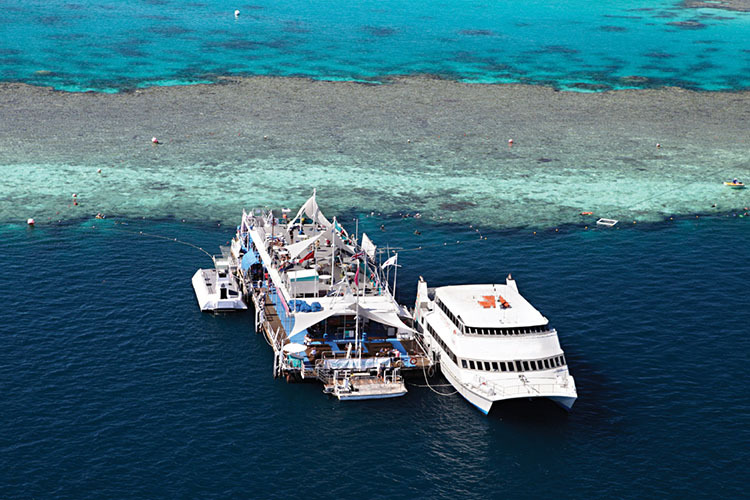 Check in to Cruise Whitsundays terminal Port of Airlie at 7:30am where you will board your luxury catamaran and cruise to the Great Barrier REef. 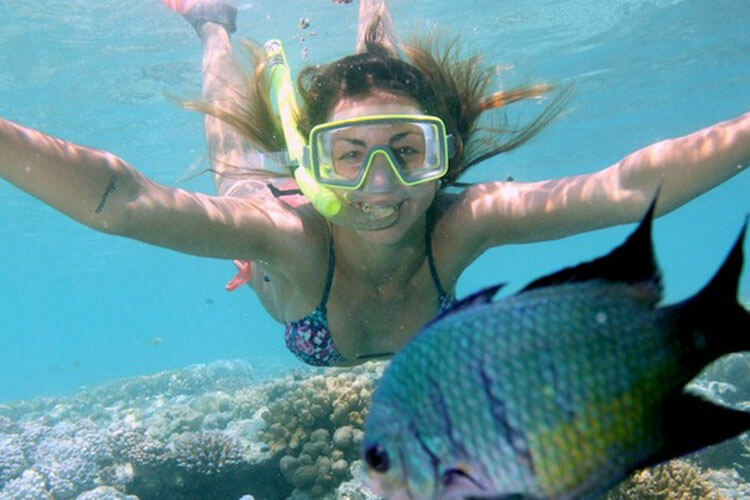 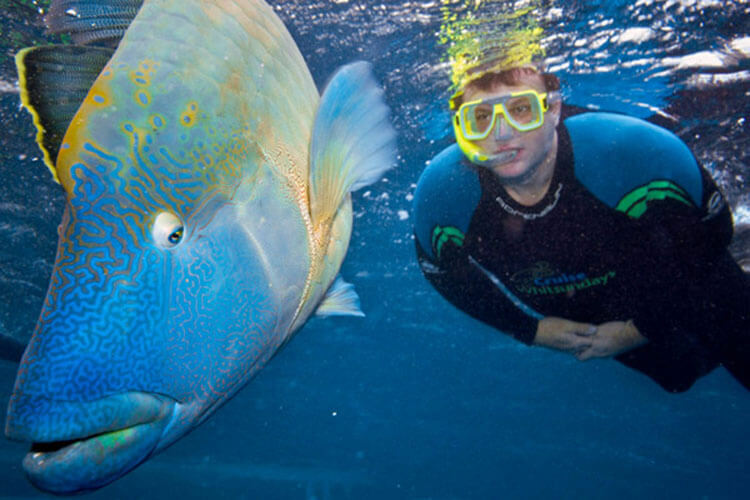 Spend 2.5hours out at the Great Barrier Reef where snorkeling, a semi submersible and lunch are provided by Cruise Whitsundays. 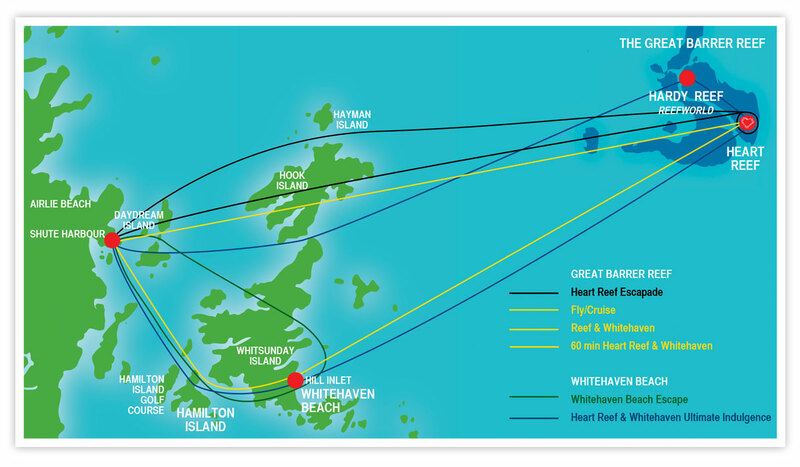 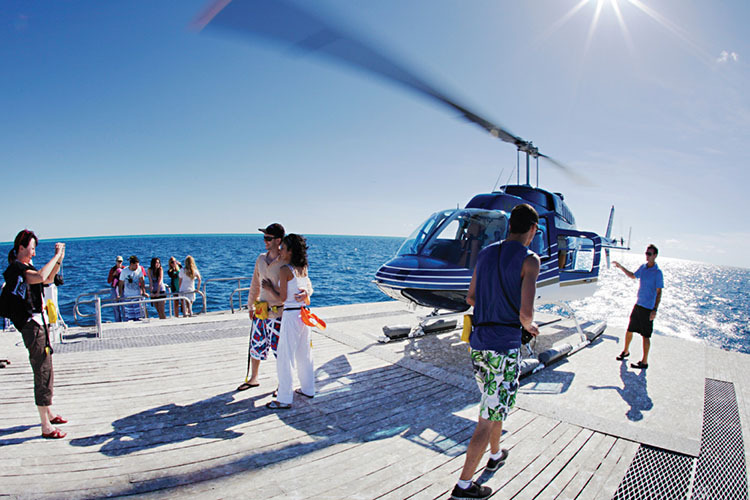 Depart Reef World on a one-way helicopter flight (approx. 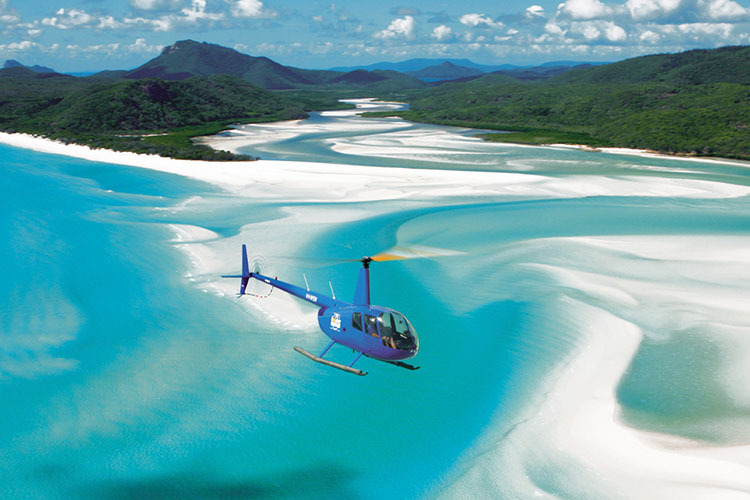 35 minutes) with scenic views of Heart Reef, Whitehaven Beach and Hill Inlet to Hamilton Island. 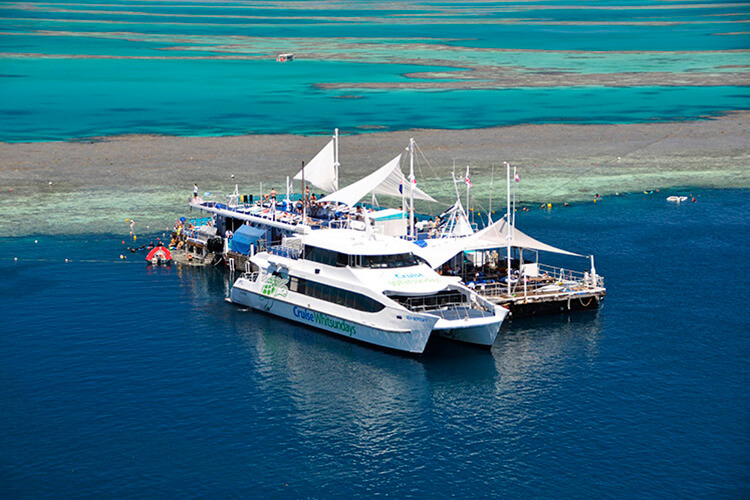 After spending approx 1.5hrs exploring Hamilton Island Finally, sit back and enjoy your scenic Cruise back through the Whitsundays to Airlie Beach.